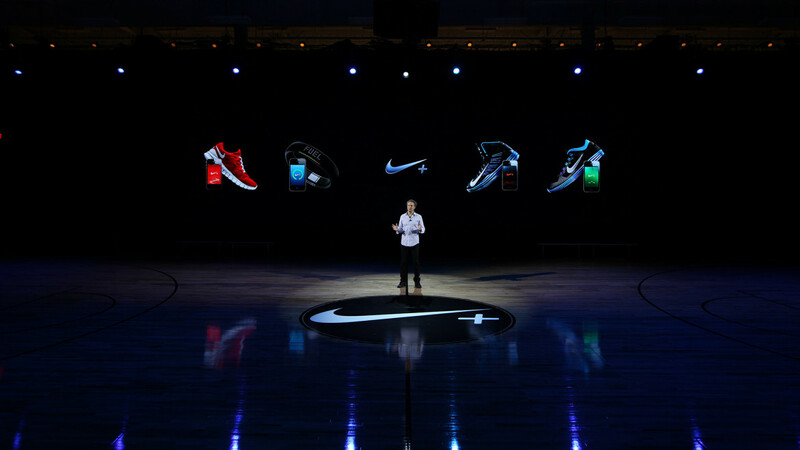 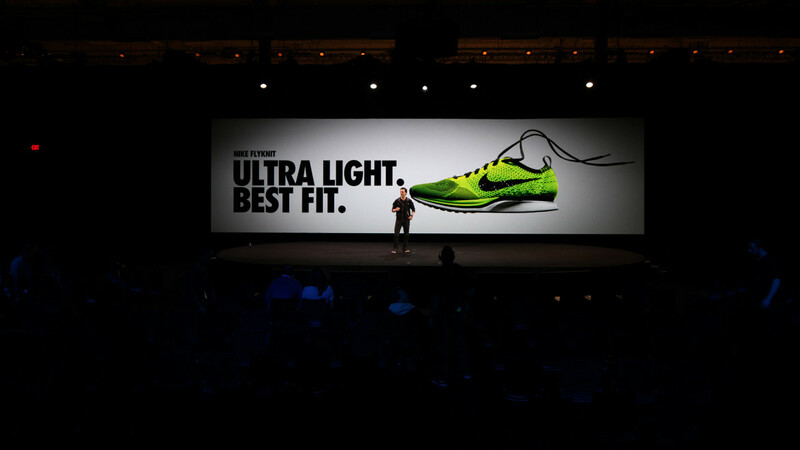 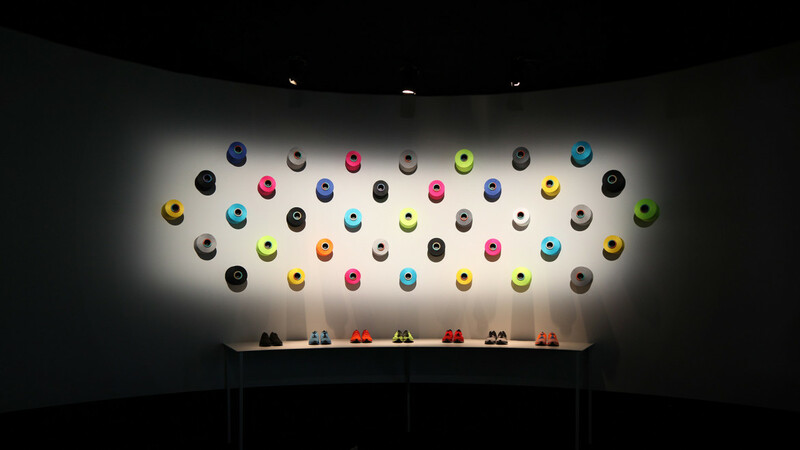 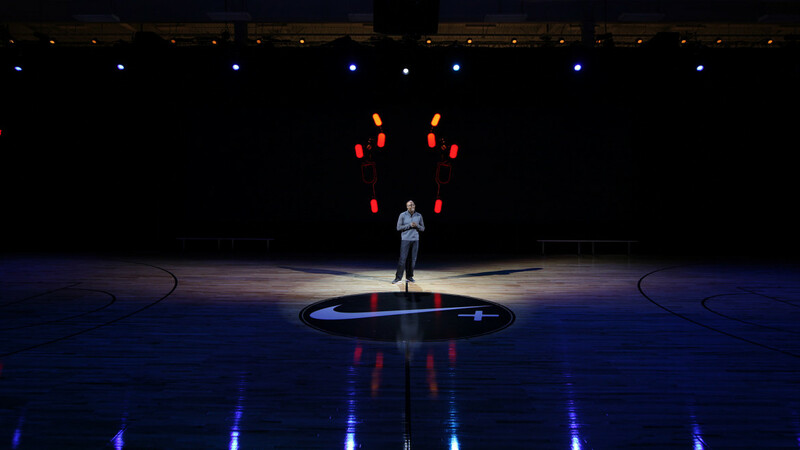 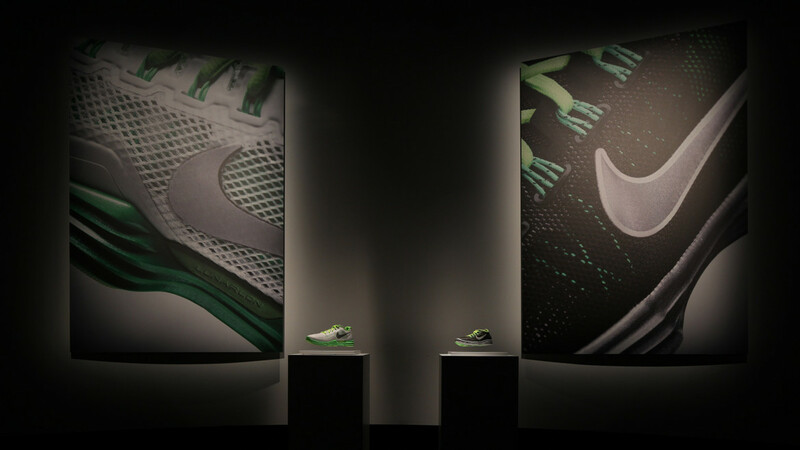 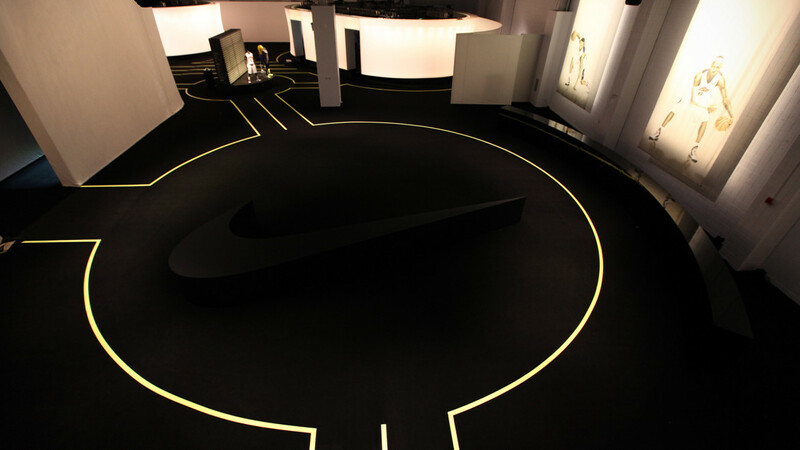 February 2012: NIKE presented a series of cutting-edge innovations for the upcoming London Olympics. 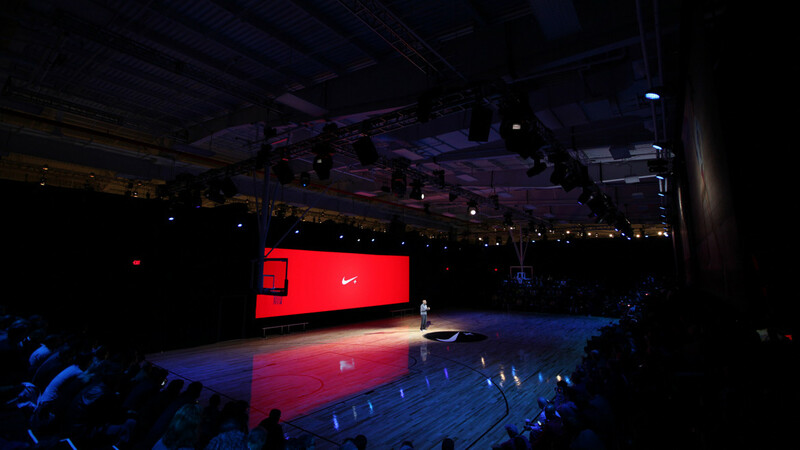 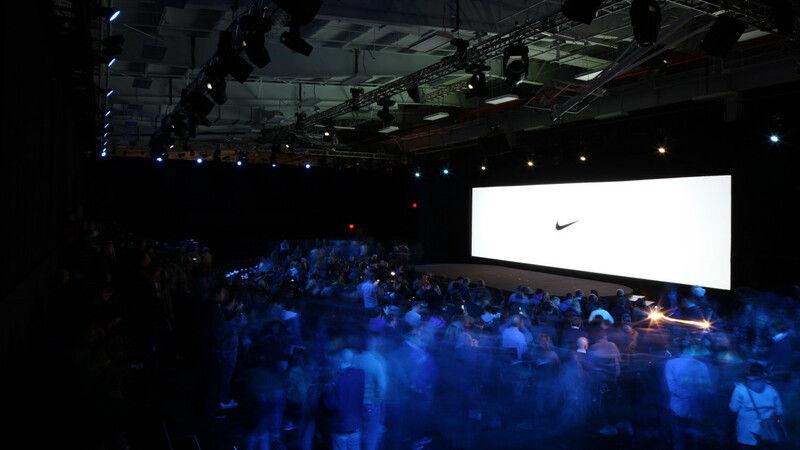 To help the Brand unveil technology that is going to change sports performance Sartoria has been called to cut, sew and design a multi-functional space within the Basketball City courts in New York. 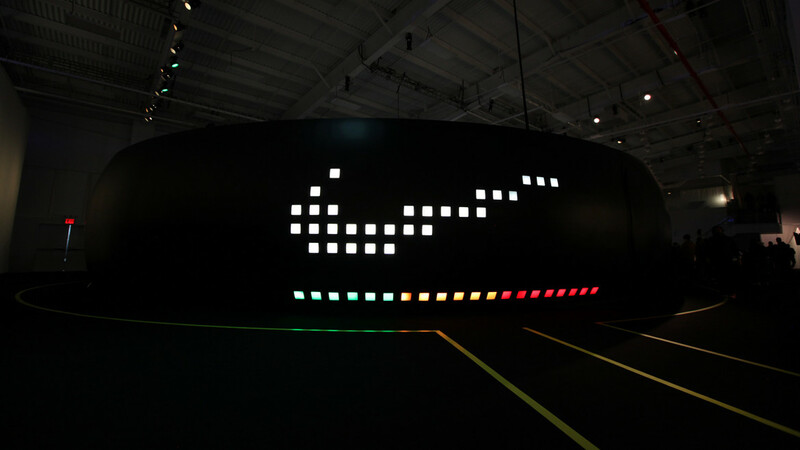 From the Nike Flyknit to the next generation Nike Lunarlon, the Nike Hyper Elite basketball uniforms and the Nike+ Pressure Sensor; these innovations have been showcased in self-contained pods, scattered through the venue to mirror the Lunarlon blueprint, key satellites of a main presentation stage equipped with state of the art LED screens, custom made magnetic displays that levitated the shoes and ad hoc demo zones for guests to experience first hand this new ground-breaking technologies.